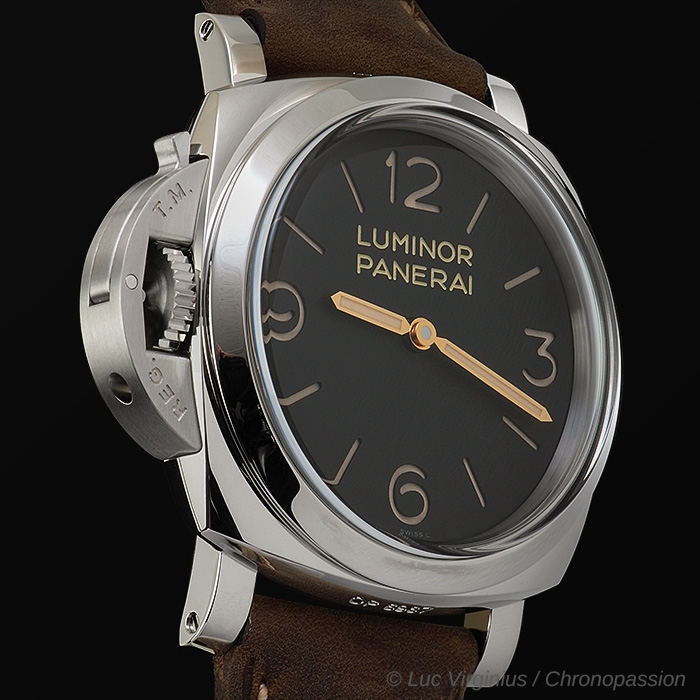 Panerai | 9'200 € Tax inc.
Panerai presents the left-handed version of the Luminor 1950 3 days – 47 MM, in which the winding crown and the device protecting it are at 9 o’ clock, on the left side of the case. 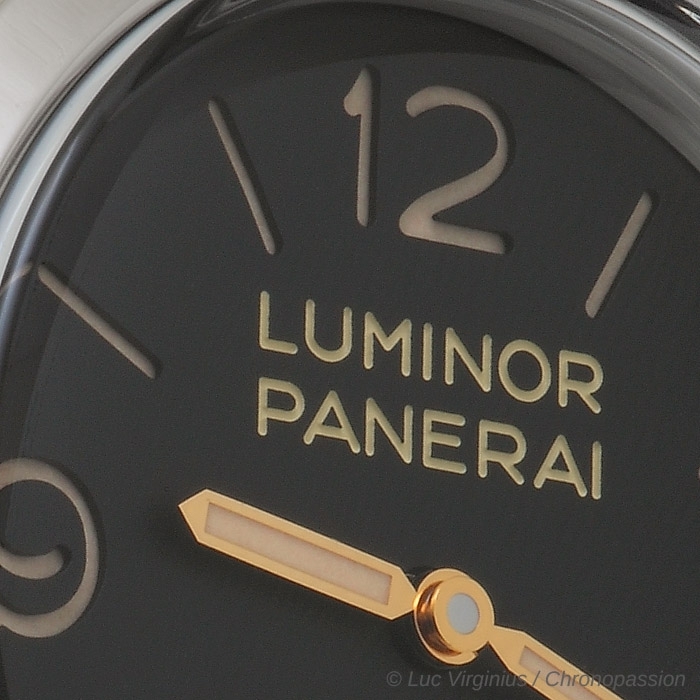 Left-handed watches are very much part of the history of Panerai. The commandos of the Italian Navy had to wear several instruments on their wrists at once: not only the watch, indispensable for synchronising their attacks and for keeping track of the length of time spent in the depths of the sea, but also the compass and depth gauge. 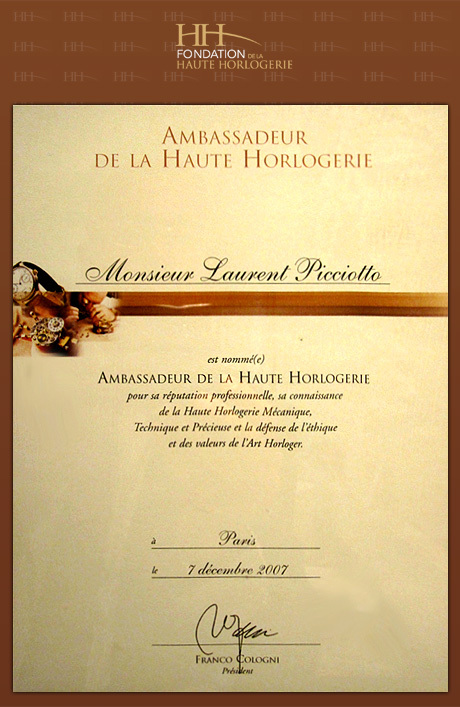 For convenience, some of them preferred to wear the watch on the right wrist, and for them Panerai created the watch with the winding crown on the left side, as can be seen in some rare contemporary examples which still survive today. 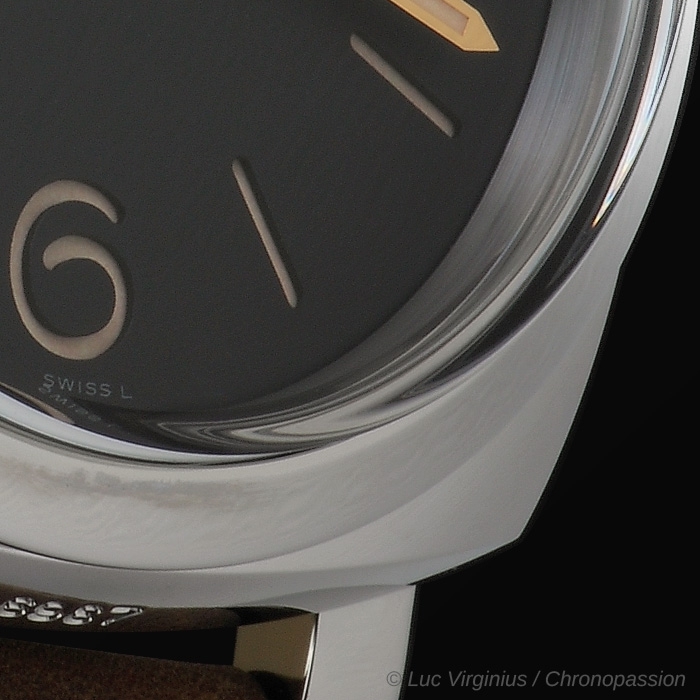 The steel case of the Luminor 1950 Left-Handed 3 Days has a unique detail which distinguishes it from the classic Luminor 1950 case: the caseband has a cusped shape, hinting at the form of a cushion case. 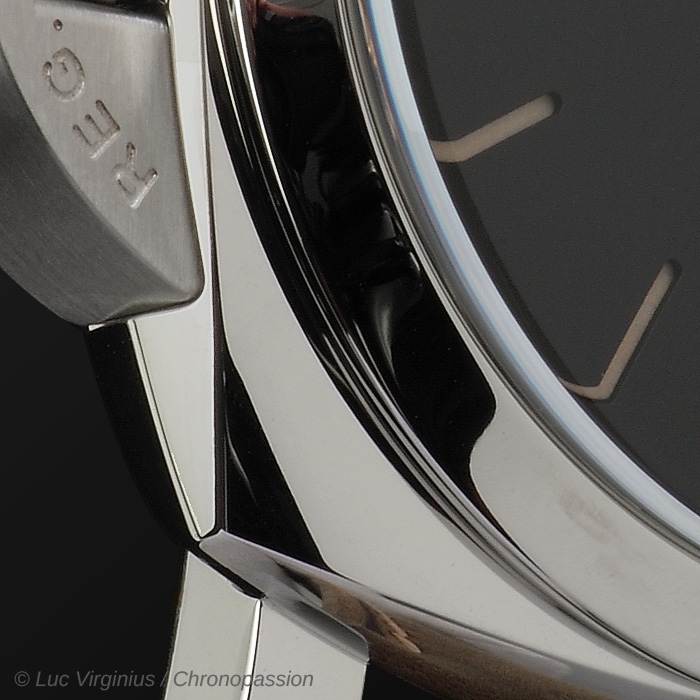 This little detail, picked up directly from some examples of the period, tells the story which brought about the transformation from the Radiomir, created in 1936, with a classic cushion case, to the Luminor, more massive in its proportions and identified by the device protecting the winding crown. 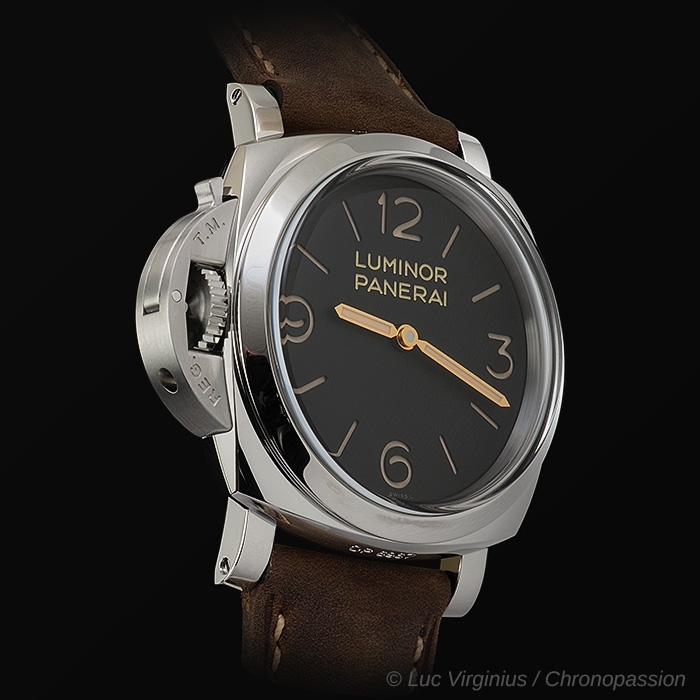 Movement Hand-wound mechanical, P.3000 calibre, executed entirely by Panerai, 16½ lignes, 5.3 mm thick, 21 jewels, Glucydur® balance, 21,600 alternations/hour. Incabloc® anti-shock device. Power reserve 3 days, two barrels. 160 components. 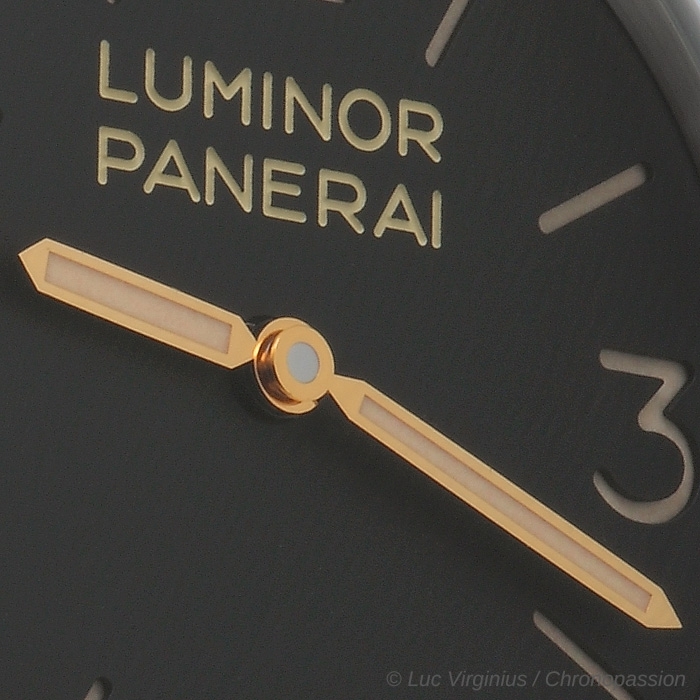 The P.3000 calibre, created entirely at the Panerai Manufacture, presents the main characteristics of the Panerai movements in terms of structure and robustness, accuracy and power reserve. 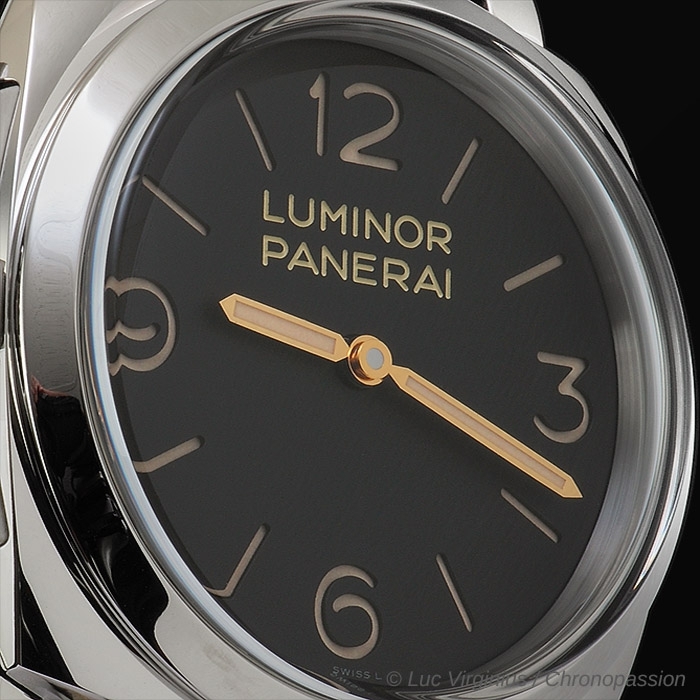 The diameter of the calibre is 16½ lignes, a substantial size which traces its origins from that of the movements which were fitted to the historic Panerai models. The calibre is immediately recognisable by its construction, which is similar to that of a three-quarter plate movement: a large bridge, next to another smaller one, covers the majority of the mechanical parts, and is fixed to the bottom plate by a series of screws of substantial thickness, thus forming a particularly rigid structure. The movement has 21 jewels and it uses two spring barrels connected in series. Such an arrangement enables long, thin springs to be used, which ensure the delivery of a more even force over a longer period of time, with a power reserve of 3 days. The balance wheel is notably large (13.2 mm) and it is the variable inertia type, with four adjusting screws arranged externally round the ring, so that the rate can be regulated without the need to remove the whole assembly. Held by a bridge with twin supports – a fixing much safer and more stable compared to the cantilevered single bridge – the balance wheel oscillates at a frequency of 3 Hz, equivalent to 21,600 alternations per hour. It is fitted with an Incabloc® anti-shock device and is free-sprung, so there is no regulating lever. 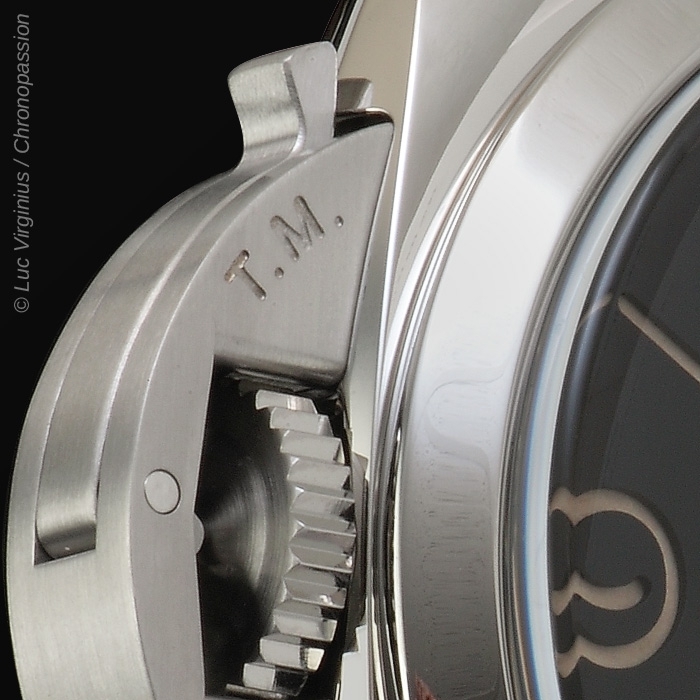 With brush-finished bridges and chamfered edges – that is, with the edges smoothed and polished – the P.3000 calibre is also fitted with a device for the rapid adjustment of the time: a star wheel with 12 points and a small spring clutch enable the hour hand to be moved one hour at a time, without interfering with the movement of the minute hand or the operation of the watch.